You may be asking what does Royal Caribbean do that makes it different from its competitors and why should you consider a Royal Caribbean cruise over a different cruise. Listed here are the ways Royal Caribbean seperates itself from the pack and why so many Royal Caribbean fans have come back again and again over the years. For years, Royal Caribbean has been blazing a path of innovation on its cruise ships, especially when it comes to the really neat activities to do onboard its ships. 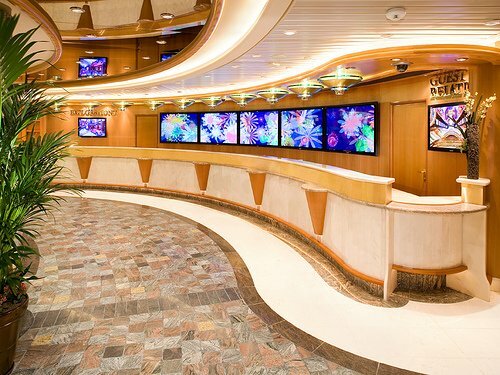 Royal Caribbean was the first cruise line to offer a rock climbing wall, FlowRider surf simulator, ice skating rink, Broadway shows, true high speed internet at sea and a lot more. What many fans like about Royal Caribbean is they are continuously pushing the envelope in terms of what a cruise ship can offer. If you are looking for a cruise experience that offers more onboard activity options than you can possibly do in one week, Royal Caribbean is perfect for you. Many of these innovations are still exclusive to Royal Caribbean and they have become staples of the Royal Caribbean cruise experience. The FlowRider, bumper cars and Promenade shopping are all Royal Caribbean signature offerings. All of this is in addition to the great variety of onboard activities available each day of your cruise. Royal Caribbean has built a reputation for being a cruise line that offers a lot to do onboard. They say size is not everything, but it sure does help! 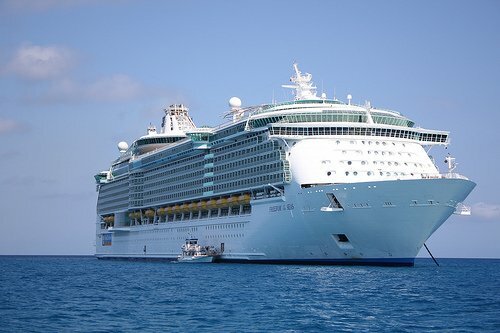 Royal Caribbean's cruise ships are among the largest in the world. Its Oasis class cruise ships redefined not only how big a cruise ship can be but also what it can offer. If you are worried that the ships might be too big, don't worry. Folks that have been on these mega-cruise ships will tell you that they are truly designed with crowd control in mind and despite the ship's size, the layouts work to help spread the crowds around. These large cruise ships go hand-in-hand with the wonderful activities available onboard to create a fun vacation experience. Royal Caribbean cruises are designed to be family experiences, where kids, parents, grandparents and friends can share in the vacation together. Looking over the array of things to do onboard and onshore, you will see there are activities that can be great for certain ages and other activities that blend demographics together. A Royal Caribbean cruise is meant to be fun for all. The Adventure Ocean program for kids and the teen-only lounges and activities will give the underage set ample opportunity to have fun on their own in a supervised and fun environment. Royal Caribbean has built these programs to appeal to each age group and they want it to be somewhere the kids want to be all day (and night). Both Adventure Ocean and the teen program are complimentary and included in your cruise. If you are cruising with the babies or toddlers, Royal Caribbean has been adding nurseries to many of its ships to give parents a safe and inexpensive option for child care. Of course, there is plenty for kids and adults to do together. Evening shows, parades, dance parties, restaurants and shore excursions are just the beginning of what is available and they are great for all ages. There are a lot of choices for a cruise vacation but what brings back many guests to Royal Caribbean cruise after cruise is the tremendous value of a Royal Caribbean cruise. Royal Caribbean prices its cruises competitively and it offers a great balance between what you pay for the cruise and what you get out of the cruise. In fact, Royal Caribbean prides itself on offering cruise vacations that are not only affordable, but very comparable to a land based vacation elsewhere. Prices for a Royal Caribbean cruise vary from sailing to sailing and region to region, but generally speaking, Royal Caribbean sells its cruises on the notion guests are going to get a lot of value back from their time onboard. You have decided on the right Royal Caribbean cruise for you, made a deposit on your sailing and have your stateroom reserved just for you. What should you do next? Planning a Royal Caribbean cruise can be a fun exercise in planning, as you discover there is a lot to do before you ever set foot on your ship. 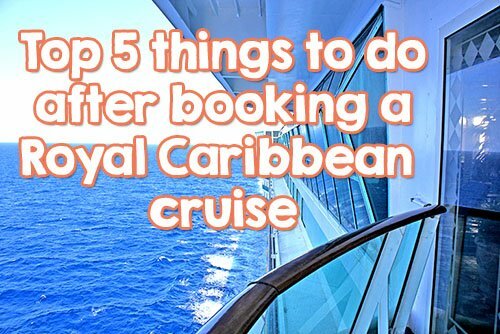 Once you have your cruise booked, here are five things you should look into as your next step and really jump into the pre-cruise excitement! In order to gain access to all of Royal Caribbean's pre-cruise planning options online, you will want to register yourself on Royal Caribbean's web site and tie your reservation to your account. We recommend arriving to your cruise embarkation port at least one day early, to avoid transportation delays that can potentially cause you to miss your cruise. For those that are flying on an airplane to your cruise, booking airfare in advance is a good idea. It is also a good idea to research a hotel to stay at and lock in a price now before others do the same. Depending on the port you are leaving from, there can be lots of hotels and resorts to choose from. Use consumer review web sites to find which hotel will offer you the amenities you want for the price you can afford. It is easy to overlook your pre-cruise transportation and lodging and then have to pay more than you should later. Before you can get onboard your Royal Caribbean cruise, you will need to provide local authorities the proper documentation to prove who you are, and you definitely do not want to arrive at the pier missing something important. Research what proof of identification you may need for everyone in your party, such as birth certificates, drivers licenses and/or passports. If you are traveling to another country for your cruise, look into if you will need to apply for a visa. Processing times for documents like visas and passports can take weeks, if not months, so be sure to give yourself plenty of time to get any necessary documents ready for your sail date. Insurance is one of things that you do not think of until you need it and then it is worth every penny. The thing is, not everyone needs travel insurance but you should look into what travel insurance offers and if you are at an elevated risk and would benefit from it. 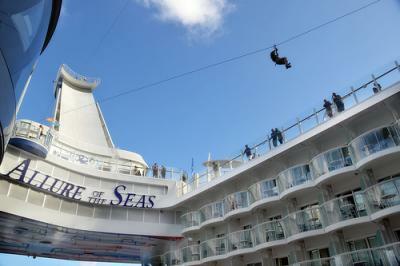 Royal Caribbean offers travel insurance, as well as many third party companies. Read exactly what the insurance covers and the scenarios in which you can make a claim. It is important to be aware that travel insurance does not cover every scenario, but issues such as personal illness, death of a family member, airline delays, lost baggage and more are common times when insurance will be of great benefit. There is no easy way to determine who does and who does not need travel insurance, but you should at least consider the option now to safeguard yourself in the future. When you are looking to pick the perfect Royal Caribbean cruise for your family, often you will find a few good choices to choose from and in many cases, it can come down to the ship class as the big difference. With over 20 ships in Royal Caribbean's fleet, there are a lot of choices and today we will compare two of the most popular classes of ships, the Oasis-class to the Voyager class. 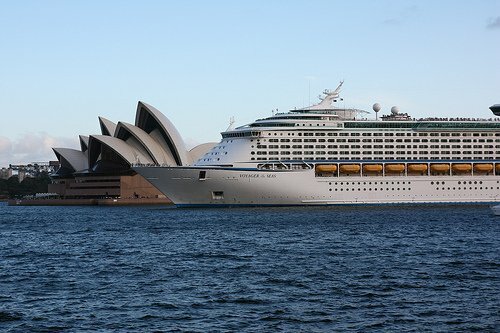 The Voyager-class ships include Voyager of the Seas, Explorer of the Seas, Adventure of the Seas, Mariner of the Seas and Navigator of the Seas. The Oasis-class ships include Oasis of the Seas, Allure of the Seas and Harmony of the Seas. The Voyager class ships were built between 1999 and 2003 and set the standard for what a large cruise ship is these days. You will have a little over 3000 passengers onboard with you, has 15 decks and is 138,000 GT. The Oasis class was first built between 2007 and 2010 with some new ships under construction since 2013. On these ships, there are somewhere between 5400 and 6200 passengers, has 16 decks and is 225,282 –227,700 GT. Both classes of cruise ships are large but the Oasis class is currently the largest in the world. While the Oasis class dwarfs the Voyager class, they are both really big ships and essentially we are talking about a big class and a bigger class. Voyager class ships are best known for their 350-foot indoor mall known as the Royal Promenade,that features indoor pubs, shops, cafes, and bars. 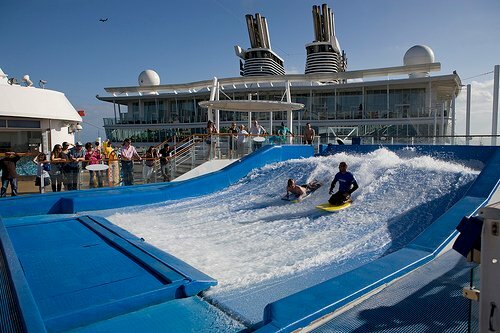 Activity options on all five ships board include a basketball court, at least 3 pools, a mini-golf course, a rock wall, an ice skating rink and on some ships a FlowRider surf simulator. 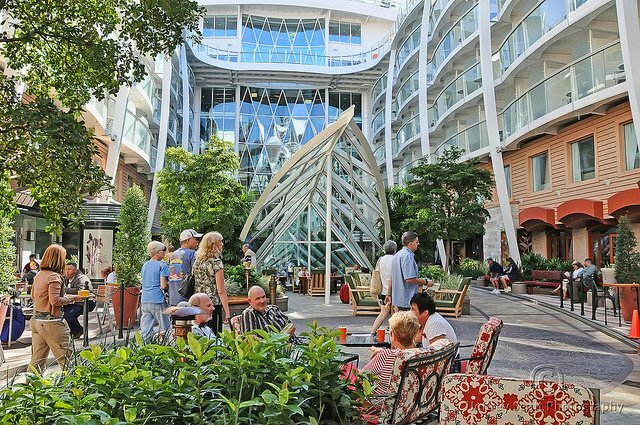 The Oasis class is known for having it all and have seven different "neighborhoods" that are areas of the ship with a distinct theme, such as a Royal Promenade, Boardwalk, Central Park and more. There's also a slew of dining choices (25 in total) and Broadway shows. You will find onboard Oasis class ships many of the same features of the Voyager class but larger and in some cases more of them. For example, there are two rock climbing walls and two Flow Riders on the Oasis class. Both classes of ships have the same core offerings, such as the Adventure Ocean kids club, dining rooms, specialty restaurants, pools and more. Besides the size of the ships, there are some key differences that will either be a plus or minus for you. The Oasis-class ships have a special pool splash area just for kids and babies. On the Voyager class, you will find pools but no water play area for kids and no pool access for children with diapers. This can be a big factor for families with younger children. In terms of pricing, generally speaking the Voyager class ships tend to cost less and offer more variety in their itineraries. Voyager class ships also offer a lot of the same onboard activities and entertainment that the Oasis class does, such as the ice skating rink, FlowRider, and Royal Promenade. Both classes of ships have recently been refurbished over the last few years and have gotten new specialty dining options as well as updates to their staterooms. For families with children under 18, the Oasis class offers a lot more in kids activities, both in terms of the Adventure Ocean club as well as activities. 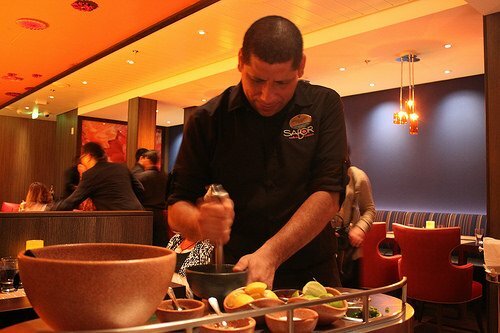 In terms of dining, if you enjoy specialty restaurants and do not mind the extra cost, the Oasis class offers far more choices than any Voyager class ship. If you want a Voyager class ship with a lot of specialty dining, Navigator of the Seas should be your pick. Another key difference is the Oasis class ships have Broadway shows, such as Cats (Oasis of the Seas) and Mamma Mia (Allure of the Seas). The Voyager class ships have Broadway caliber shows but they do not feature former Broadway shows. The Voyager class ships have spread to nearly every corner of the globe. At the time of this blog post, there are two Voyager class ships based in Asia and Australia, one in the United States, one in Puerto Rico and many traveling to Europe in the summer. You will find a great deal of port options on a Voyager class ship. The Oasis class ships are traditionally based in Florida although Royal Caribbean has started to send them to Europe for the summer. As of the time of this blog post, the home ports for all Oasis class ships will still be in Florida. Voyager class ships offer a lot for very likely less cost than the Oasis class. You still get a decent variety of specialty dining, pools, and lots to do . The Oasis class offers it all and has more for families with young children to enjoy. It still has premium pricing so you will likely pay more for it on average. Both classes are large ships and with the recent refurbishments to the Voyager class, the differences are not as wide as they once were. Honorable mention for the Voyager class goes to Navigator of the Seas. 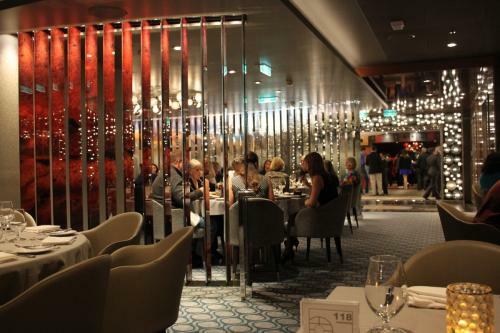 It seemingly had the best refurbishment with a slew of restaurants, virtual balconies and more. Honorable mention for the Oasis class is Harmony of the Seas, which will debut in 2016 and will have water slides, a first for Royal Caribbean ships. Which class do you prefer? Is Voyager class a better choice or do you think there's no beating Oasis class? Share your opinion in the comments below! Whether you are new to cruising or just new to Royal Caribbean, there's some important things to know about taking a Royal Caribbean that can definitely improve your cruise experience. We're big fans of planning ahead for any cruise vacation and these tips will give you some good starting points to be prepared for your first cruise onboard Royal Caribbean. In years past, Royal Caribbean used to mail you your cruise documents with everything you needed to get onboard but since we are in the digital age, Royal Caribbean now has it all online and you'll want to fill it all out in advance. 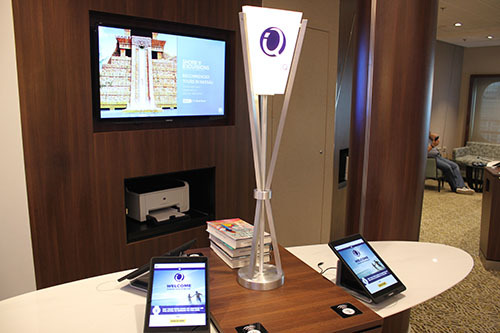 Royal Caribbean's Online Check-In is a pretty simple tool to save you time at the pier and greatly simplify the entire check in process. You simply need to go to the Royal Caribbean web site to check in and complete the steps. At the end, you will have access to print out your SetSail Pass (your cruise boarding pass) as well as luggage tags. Remember, you must complete and print out your SetSail Pass 3 days prior to your sail date. We're big fans of using travel agents in general to book our Royal Caribbean cruises but if you're new to the brand, having someone who knows Royal Caribbean really well and costs you nothing extra is a great bonus. Royal Caribbean has 22 ships in its fleet and sails to destinations around the world, so it can be difficult to be aware of all the differences and changes going on. A good travel agent will be able to guide you in the right direction based on the kind of cruise vacation you're looking for. There's also lots of deals and discounts to be found and between that and the general questions you may have, a travel agent will help make your first Royal Caribbean cruise a big success. In most cases, your stateroom may not be ready for you to go into until 1pm. We've seen situations where the time is earlier or later but it's usually in the early afternoon. It's important to keep this time in mind because until you get into your stateroom, you will have to carry all the luggage you opted not to check with the porters. I've seen plenty of families camped out with there many bags in the stairwell waiting for their stateroom to be open. What you ought to do is only take with you what is really necessary and that way you can stay mobile and explore the ship. Each day of your cruise, you will find in your stateroom Royal Caribbean's daily newspaper of events called the Cruise Compass. Inside is a listing of all the events, sales and information you need to know. The Cruise Compass is your best way to be aware of all the interesting things going on onboard your ship. It also included a weather forecast so you can know what to expect when you step outside or on shore. Essentially, you're reading the Cruise Compass so you don't miss out on an event that you may have wanted to check out. Royal Caribbean offers so much onboard their ships, it can be difficult to know what's going on, so the Cruise Compass is a great tool. You can also get extra copies of the Cruise Compass at Guest Relations if you need additional copies for the kids (or if you're a bad sharer. We're not judging). One of the must-do's for your first day aboard your Royal Caribbean ship is any children who are eligible for Royal Caribbean's complimentary kids program, Adventure Ocean, should be registered at some point that day. Adventure Ocean is a wonderful program for kids as young as 3 years old and as old as their late teens. On embarkation day, Adventure Ocean isn't usually open but the staff will be there to give tours of the facility as well as register your kids. By registering on day one, you're assured they can jump right into the fun on day two and you don't have to waste time at that point. Embarkation day is the right time to register kids for Adventure Ocean and it will set them up for a days of great experiences. No matter which Royal Caribbean cruise you will be on, there's a number of great specialty restaurants to choose from and if you opt to dine at one of them, be sure to make a reservation. Specialty restaurants come with an additional surcharge, either in the form of a cover charge or a la carte pricing. Regardless, they can be quite popular for dinner, especially at peak times. Whether you choose to make a reservation online before your cruise or onboard, you should make a reservation to avoid waiting for a table or being locked out of dinner. It's easiest to make a reservation online at Royal Caribbean's website but if you prefer to wait for the cruise, you can always book a reservation onboard by visiting the restaurant, Guest Relations or calling the dining reservations phone number in your stateroom. If you order a beer or alcoholic beverage, Royal Caribbean will automatically add a gratuity to your bill, so unless you really loved the bartender or waiter, don't tip them twice. Often guests don't really read the receipt and are so accustomed to adding a tip that they don't realize gratuity has been automatically applied to the bill. We're not advocating not rewarding very good service, rather, be aware of what you're really paying. Cruises in general have a reputation for offering a lot of food to eat and it's definitely the case on Royal Caribbean too. Check your Cruise Compass, but there's always at least one venue open 24 hours in addition to room service which has its own menu items. You don't have to worry if you get the late-night munchies onboard because there will always be somewhere to grab a bite. If you are looking for an after-hours meal and opt for room service, keep in mind Royal Caribbean has a $3.95 surcharge on meals ordered between midnight and 5am. Royal Caribbean offers fantastic cruise vacations and many millions get to enjoy these voyages each year. There are, however, misconceptions about what a Royal Caribbean cruise is all about and they're just plain wrong. We've got five of the biggest Royal Caribbean myths to debunk for you, which will set the record straight. Royal Caribbean is about to wrap-up a $300 million project that brought many of the popular Oasis-class ammenities to all of the ships across its fleet. Nearly all the ships in Royal Caribbean's fleet have gotten better wi-fi access, FlowRiders on select ships, brand new restaurants, nurseries, upgraded kid facilities, giant outdoor movie screens, digital wayfinders and a lot more. The result has been an infusion of "new life" into the fleet, which gives guests more options to choose from when they select their ship. Just because a ship is a little older than others, does not mean it lacks those cool new features that were first found on the Oasis-class. Cruising has changed quite a bit over the years and today, cruising is about relaxing in all aspects of the experience. It's quite easy to go on a Royal Caribbean ship and never dress up if you don't want to. In fact, on Quantum of the Seas, Royal Caribbean has dropped dress codes. Royal Caribbean does have dress codes for dinner on most of its ships, but they are suggestions and only relate to the main dining room and specialty restaurants. Simply put, you can go on a Royal Caribbean cruise with just something that you might wear to a religious service or an upscale restaurant at home. Royal Caribbean just activated high-speed internet aboard its Quantum and Oasis-class ships that deliver speeds like you're at home. On these ships, you can not only browse the internet and check email quickly, but you can stream your favorite movies or make a video call to friends or family at home. Royal Caribbean also has plans to roll this new high speed internet across its fleet in the coming years. I could cite all the awards Royal Caribbean wins each year for being the best at family cruises but the fact is Royal Caribbean built its ships to be the perfect family vacation. Royal Caribbean has been a partner with DreamWorks Entertainment for many years now, which offers character meets, parades, movie screenings, character breakfasts and more onboard a number of its ships. In addition, there's the Adventure Ocean program for children that is complimentary and offers structured supervision throughout the day and night. Even toddlers and babies can enjoy the Royal Nursery that will allow parents to get away for a bit. Teens have dedicated areas of the ship just for them to hang out, meet other teens and make their own fun onboard. There's also the great onboard activities such as bumper cars, surf simulator, mini-golf, ice skating and more. In short, Royal Caribbean offers a lot for kids (and their parents) to do onboard. A ship that carries 5000 passengers can sound like it would be crowded but Royal Caribbean has been working on making the ship seem as uncrowded as it can. Using the latest in crowd control strategies, these massive ships help spread people around and have plenty of space per passenger along with sprawling common areas that help reduce that "sardine can" feel. Ask someone who's been on Oasis of the Seas and they'll tell you it doesn't feel like you're onboard with the population of a small town. Rather, the ships are designed to keep people moving and for you to feel like you can stretch out anytime you want. First time cruisers: How do I wash my clothes on my Royal Caribbean cruise? You're on your first Royal Caribbean cruise and you spill something on your favorite shirt. Or maybe your kids were a little too rambunctious in port and got their clothes dirty. Or perhaps you want to re-wear something again. How do you launder your clothes on your Royal Caribbean cruise? The simple answer is Royal Caribbean provides a laundering service. Just like the dry cleaners at home, Royal Caribbean charges per item to have it washed and press, pressed only or dry cleaned only. The price for this service depends on the item. Refer to the list below for prices for each item and its corresponding service. 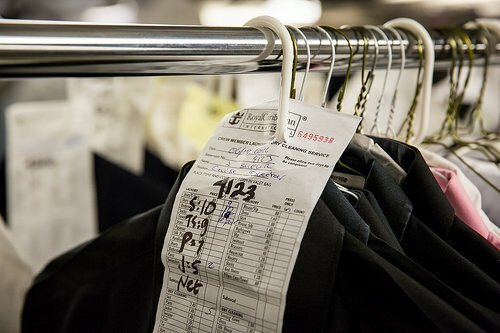 Depending on when your order goes in, you often can get your clothes back the next day. Having your clothes simply pressed is a great way to have nicer clothing, like dress shirts, suits or dresses, wrinkle free for just a small cost. You will find order forms for laundry in your stateroom (check the closet or ask your stateroom attendant). Fill out the paperwork, deposit the clothes in the provided bag and leave it for your stateroom attendant or hand it to him/her to take care of for you. The cost of the order will be deducted from your SeaPass account. The answer to this is mostly, no. Royal Caribbean prohibits passengers from bringing irons onto the ship and there are no self-service laundry facilities. However, many passengers have found you can bring single-packet detergent and fill your sink up with water to wash small loads of laundry, like soiled shirts. It's a good solution for kids clothes mostly. Read more about First time cruisers: How do I wash my clothes on my Royal Caribbean cruise? First time cruisers: What are the differences between Royal Caribbean's ships? When you're trying to pick the right Royal Caribbean cruise for you, there's a lot to choose from. Royal Caribbean currently has 22 ships in its fleet and that's a lot to choose from. Let's discuss what the differences (and similarities) are and which one is great for you. 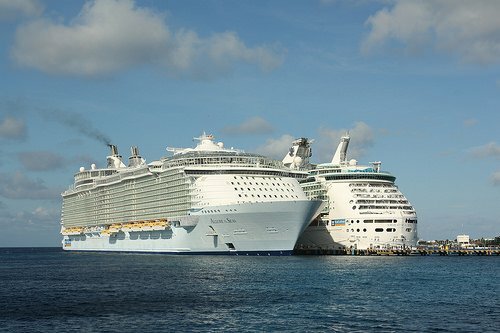 Royal Caribbean ships do vary considerably in size, from ships that can handle around 2000 passengers to ships that top out over 5000 passengers. The first thing to understand are the classes of ships. Royal Caribbean has 7 classes of ships in active service to choose from. Ship classes are categories of ships that have a very similar size, amenities and layout. Think of ship classes like car models. Every Ford Mustang for any given year is based on the same build, but individual cars can have slightly different options. By looking first at ship classes, you get to more easily see key differences between the ships. Each class is fairly unique but you will notice similarities too. Understanding the what each ship offers is important. Even among sibling ships, there are some differences. For example, Liberty of the Seas offers a Broadway show whereas none of its sibling ships have one. The differences between ships used to be much larger but Royal Caribbean embarked upon a fleet-wide refurbishment in the last few years to bring innovations first developed for the Oasis-class onto older ships in the fleet. To be honest, the changes have breathed new life into these older ships and now the differences between all ships has been greatly reduced. That brings up ship age. The tendency in the cruising industry is to build bigger ships each time, so typically the smaller ships are also the older ships. That's not always the case but generally speaking, the last few classes of Royal Caribbean ships (Quantum, Oasis, Freedom, Voyager) are signifigantly bigger than the older classes of ships. The newest class of ships are Quantum, Oasis and Freedom class. The oldest are Vision and Sovereign class. Of course, age doesn't tell the whole story. 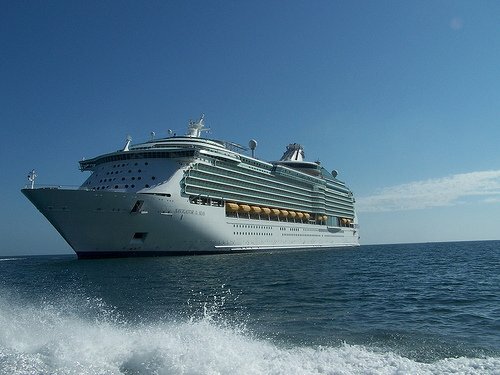 In fact, many Royal Caribbean fans will tell you the older ships are their favorite ships. Smaller ships offer a much more intimate cruise experience and they often have things the larger ships do not, like more vantage points to the ocean. Newer cruise ships have more of the fancier and newer technologies, which can factor into your decision but the recent fleet-wide refurbishment mentioned earlier did help quite a bit in "leveling the playing field". You shouldn't make your decision based purely on ship age but it's a key difference between the ships. Each Royal Caribbean ship offers a lot to do but if the hyped up features don't interest you, then it may not be perfect for you. 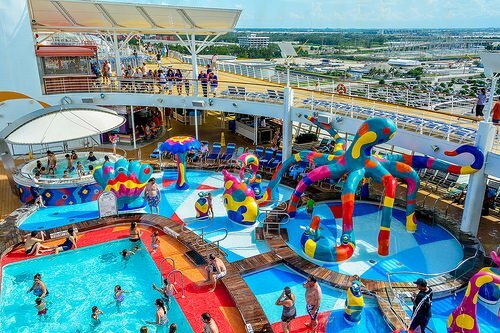 Oasis of the Seas offers zip lining, Broadway shows, a surf simulator and over a dozen restaurants but if all you want to do is enjoy pool time and read, then perhaps it's more than you need. Likewise, if you've got children, the newer ships in the fleet have larger and newer kids club facilities that will be a better fit. Look at the features each ship has and see which are relevant most to you. I love the newest ships Royal Caribbean rolls out, but if I can get a similar cruise on a smaller ship for a fraction of the cost, then I'll gladly take it. Pricing fluxuates a lot but newer ships command a higher price, so if there's a deal to be found, then consider that option too. You shouldn't let price solely dictate which ship you pick, but it's a powerful factor. 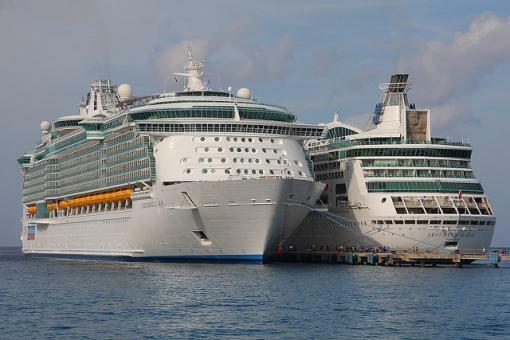 One advantage smaller Royal Caribbean ships have over larger ones is they can go to many ports the big ones cannot. Many ports in Europe, Asia and the Pacific can't handle the new mega-cruise ships Royal Caribbean has built so if you have your heart set on certain ports of call, make sure the ship you pick can get you there. Read more about First time cruisers: What are the differences between Royal Caribbean's ships?